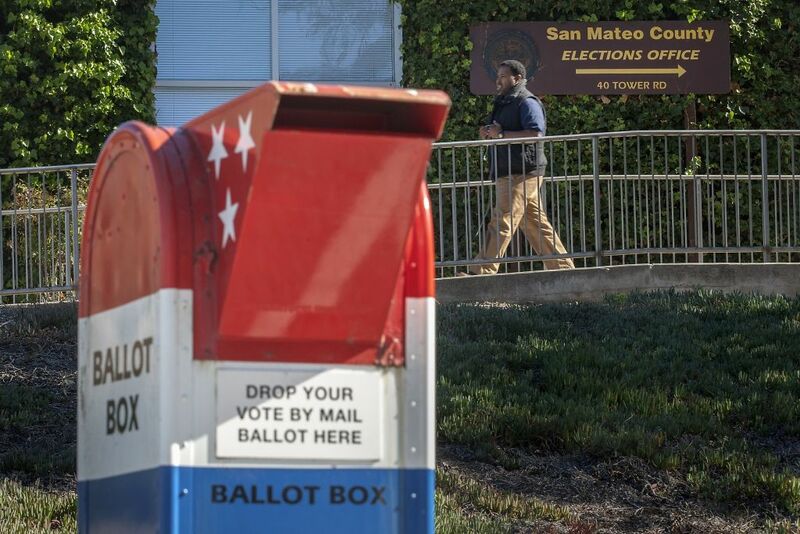 San Mateo County’s High All-Mail Turnout: California’s Future? San Mateo County’s recent mail election did more than boost voter participation in a sleepy off-year cycle, a preliminary analysis shows. It yielded dramatic spikes in turnout among young people and minorities. Turnout was 29.5 percent, up 4.1 percentage points from the last consolidated local election in 2013. And while the county has yet to release a demographic breakdown of participation, Sacramento-based elections guru Paul Mitchell crunched the numbers last week and came up with some startling results. Turnout among voters ages 18 to 24 increased in all eight cities that had competitive council races, up 79 percent in San Mateo, for instance, and more than 160 percent in Brisbane. The results were similar for Asian and Latino voters…. Mitchell also found the increase in turnout appeared to be higher among those who are not already registered as permanent mail voters. The key going forward will be to determine if San Mateo’s recent strong turnout numbers can be replicated there and in other counties – and if cost (including postage) and other factors also support wider adoption. If they do, you can bet that momentum for ballot delivery in California will begin to gather steam. Be the first to comment on "San Mateo County’s High All-Mail Turnout: California’s Future?"